Growing up, I used to think of what life would be like without Derek Jeter on the field for the New York Yankees. I decided, this was something I never wanted to see happen. 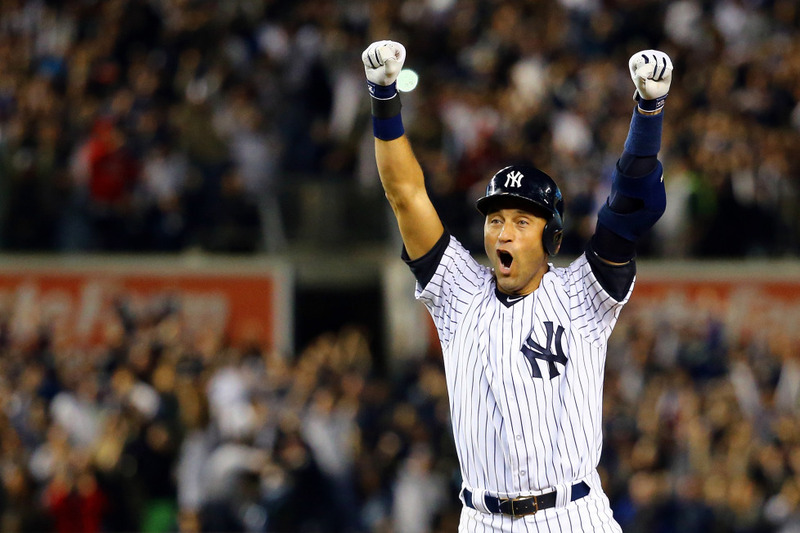 The Yankees would be nothing without Derek Jeter leading the way. I’m going to tackle the age-old question about the most storied franchise and that is…are the Yankees better without Jeter? I know, it is a difficult future to imagine. But this season is the first without Jeter, and I can truthfully say that, yes, they are better without everyone’s favorite shortstop. Sure, Didi Gregorious is no Derek Jeter when it comes to leadership, but he might even be better than Jeter in the field. Gregorious has the arm that Jeter lacked throughout his entire career. He also has speed to be a real asset on the bases, where Jeter began to slow down as his career progressed. Most importantly, Didi makes plays that Jeter never would be able to make because he has the range that the Yankees need to give themselves a shot at beating higher level teams. Still a young player, Didi has learning to do, no doubt. He makes mistakes, but he is still developing. And, quietly, he has been impressing and winning the hearts of fans all over with his fielding skills. But its not just Didi being a replacement for Jeter…it is about the feel in the clubhouse. Jeter was a leader. He had such a strong presence in the dugout and clubhouse that others didn’t step up to help lead. Now, Brett Gardner, Alex Rodriguez and even players like Mark Teixiera have stepped up to fill the leadership role. While I loved Jeter’s leadership skills, he was the type of leader where you did not question if there was another one in the midst. He was such a strong leader, there would never be room for another. And while that benefited the Yankees through 2014, now it is time for a change. Jeter was so serious, and now players have a chance to loosen up and just play the game. And by simply playing the game, they have settled into a rhythm where they don’t feel pressured to win…and then, they do (for the most part). The Yankees don’t feel the pressure as much this year because no one expected them to be anything without leader Jeter in their presence. But guess what? Here they are, heading into September only 1.5 games behind the A.L. East leader and at the top of the Wild Card race. So, I feel a little foolish for ever doubting the Yankees. Because it seems that even without Jeter, they will always be winners.